Situated in Marktbreit, this hotel is within a 10-minute walk of St. Ludwig, St. Nikolai, and Museum Malerwinkelhaus Marktbreit. Museum Segeum is 1 mi (1.6 km) away. Marktbreit Station is 10 minutes by foot. 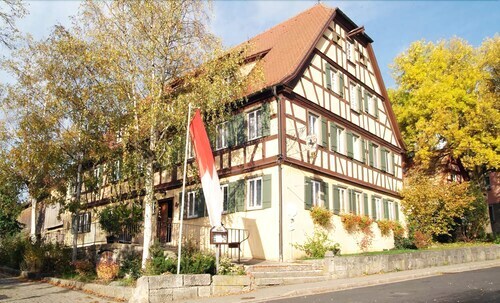 Situated in a rural location, this hotel is steps from Museum Malerwinkelhaus Marktbreit, St. Nikolai, and St. Ludwig. Museum Segeum is 0.8 mi (1.3 km) away. Marktbreit Station is 7 minutes by foot. Located in Würzburg City Centre, this hotel is within 1 mi (2 km) of Congress Centrum Wuerzburg, Wuerzburg Residence, and University of Wuerzburg. Alter Kranen and Roentgen Memorial Site are also within 10 minutes. Würzburg Central Station is 11 minutes by foot and Würzburg-Süd Station is 28 minutes. How Much is a Hotel Room in Marktbreit? Hotels in Marktbreit start at $87 per night. Prices and availability subject to change. Additional terms may apply. If you are looking to spend some time in Marktbreit and want to find somewhere to stay while you're there, you should check out nearby regions, because the lodging options around the center of town are extremely slim. You will have 27 accommodation options to choose from only 19 miles (30 kilometers) from Marktbreit. 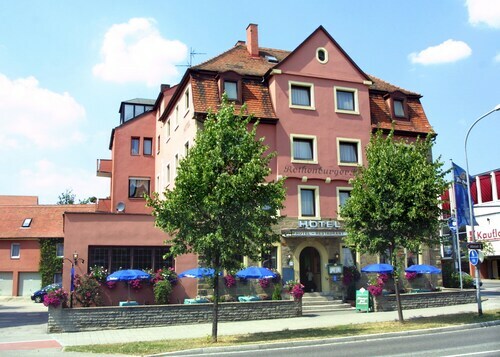 The nearest Travelocity-listed room is the Best Western Premier Hotel Rebstock, Wuerzburg, which can be found 13 miles (21 kilometers) from the downtown area of Marktbreit. 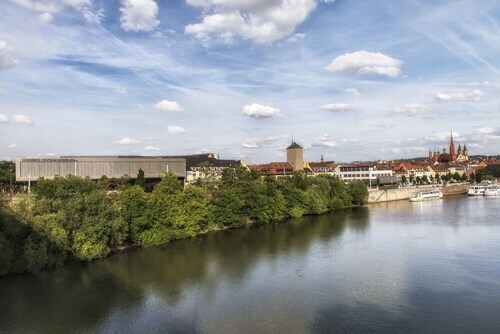 A different easily-reached Travelocity-listed option is the Maritim Hotel Würzburg, located in Bavaria, about 13 miles (21 kilometers) from central Marktbreit. 14 miles (22 kilometers) away from the main part of Marktbreit, you will come across the Ringhotel Wittelsbacher Höh. The Novotel Wuerzburg is located about 13 miles (21 kilometers) away. Some other hotel options include the AKZENT Hotel Franziskaner and the mD-Hotel Walfisch. After spending some time in Marktbreit, you could set out to investigate the greater region of the Bavaria area. Explore Bavaria's castles and traditional villages or admire the area's forests, rivers and streams. Popular activities in this particular area of Germany include snowboarding and skiing. 40 miles (61 kilometers) from Marktbreit, you can find Bamberg, where you can spend a few hours exploring Bamberg Cathedral and Old Palace. 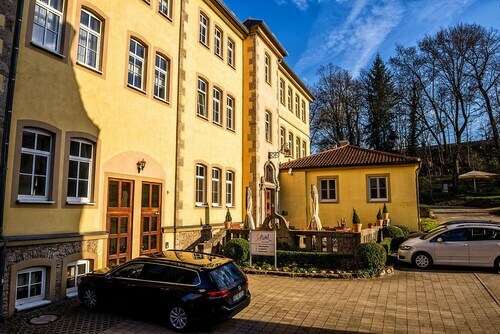 The Welcome Hotel Residenzschloss Bamberg and Tandem are a handful of the Travelocity lodging alternatives in Bamberg. 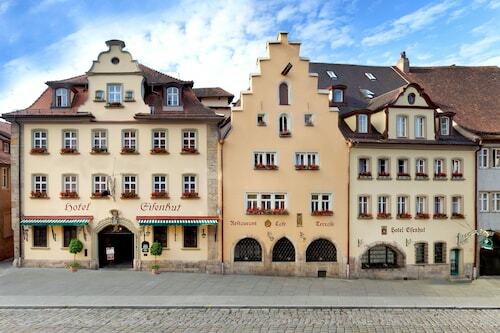 40 miles (61 kilometers) northeast of Marktbreit, you will find Old Town, home to the Hotel National and Der Krug. During your time in Old Town, make sure you visit the Historical Museum Bamberg and Diocesan Museum. Prior to your departure from Franconia, make sure you take in a fast-paced match. Get to Frankenstadion, to the east of Marktbreit. Anybody that need to book Travelocity-listed hotels close by can read about the Congress Hotel Mercure Nürnberg an der Messe or the NH Collection Nürnberg City. For modern travelers flying through Nuremberg Airport, you may like to book some accommodation at Movenpick Hotel Nuernberg Airport, or Hotel Avenue, which are each a short ride away. This is a very nice family run bed and breakfast type hotel. It is quaint authentically German. If you're looking for the Hilton experience, this is not it. The staff was friendly and helpful, the room was clean and a good size for the 3 of us. The breakfast buffet was quite good, as was the Wild Game buffet the one night. The hotel is just outside of the walls, so a short walk in to town for anything that we needed or were going to see. The only issue was that parking was a bit tight, but overall, it was a good stay. Really great to be right in the center of everything in Rothenburg including a couple of steps from the famous Plönlein corner. Staff was pleasant and the breakfast was nice in a beautiful dining room with great views. It’s old like the village yet charming. I had a good stay there and would go back. 5.0 Best of Rothenburg! Prime central location! We had an excellent two night stay this past week. The front desk staff was super helpful with dinner reservations, parking and local information. Our room was very clean and had all the amenities you would expect and more! We were very comfortable here and will definitely come back another time!